The Biology course suits those intending to pursue careers in the biological sciences (including the applied sciences such as medicine) also those who are fascinated with the variety, complexity and beauty of life forms and processes. The Chemistry course is mainly for students who will pursue more advanced chemistry or other sciences such as medicine or engineering at the College/university level. The emphasis is on search and discovery and personal experience in scientific method. The Environmental Systems & Societies (ESS) course concerns the interactions and interdependence of living and non-living systems, especially the impact of human activities. An inter-disciplinary course, ESS draws students’ attention to social and cultural aspects of the human-nature relationship, and includes a section on environmental values. 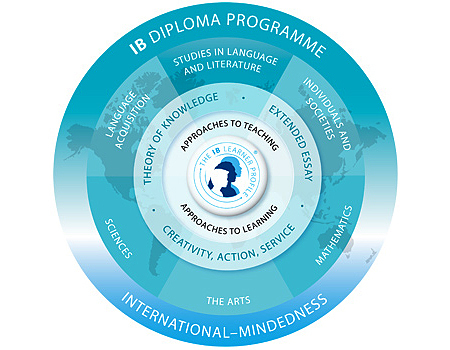 In terms of IB subject group, ESS is trans-disciplinary: it can meet the Diploma requirement of Group 3 (Individuals and Societies) and/or Group 4 (Natural Sciences). This course is for students wishing to follow a career in science or engineering. There is a large amount of practical work with an emphasis on the use of computers for measurement and data handling.